It isn’t hard to notice that the popularity of electronic cigarettes is growing around the world, which is not expected to slow down anytime soon. While the industry continues to challenge the tobacco industry, regulators seem more than willing to voice their opinions to the public on whether or not those opinions are backed by reliable and proven statistics. The question needs to be asked. Is there a strong biased agenda against the electronic cigarette industry? The Food and Drug Administration (FDA) has been investigating the e-cigarette industry for over two years. Even though the FDA hasn’t been able to reach a decision, there were rumors that it would be enforcing regulatory changes toward the end of 2013. Since that estimated deadline has come and gone without any public guidance from the FDA, it seems obvious that there are questionable issues holding up the process. Some of the issues seem to be clouding the minds of regulators around the world. Even though the FDA has not yet announced the findings of their two-year review of the electronic cigarette industry, several local authorities in the U.S. have already issued a number of local changes to the laws which have affected the use of e-cigarettes in public. These changes apparently relate to the risk of secondhand smoke. However, a recent study by the Department of Health Behavior at the Roswell Park Cancer Institute in Buffalo, New York puts this risk into a very different perspective. The report, which was co-authored by Maciej Goniewicz, compared the risk of secondhand smoke in the case of electronic cigarettes to that of tobacco cigarettes. The report also measured the nicotine content released into the local atmosphere. It also monitored levels of carbon monoxide and a wide range of other organic compounds found in tobacco cigarettes. The results of the report were very encouraging for the electronic cigarette industry with levels of between 2.5 mg and 3.3 mg of nicotine per cubic meter of air compared to almost 32 mg for tobacco cigarettes. It was also found that electronic cigarettes didn’t produce any detectable levels of the other dangerous compounds that are associated with tobacco cigarettes. 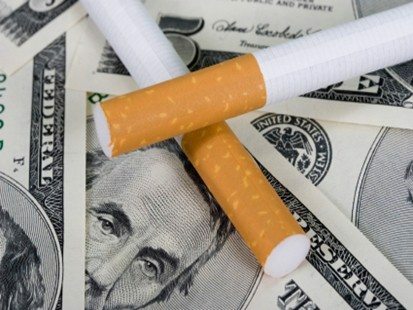 The income from the taxes on tobacco is a point that can’t be taken lightly. Governments and regulators around the world have often sidestepped the issue of tobacco tax income when discussing the electronic cigarette industry. The figures reported by the taxpolicycentre.org show the overall U.S. tobacco tax income increased from $3.6 billion in 1977 to a phenomenal $17.6 billion in 2011. Experts believe that the 2013 U.S. electronic cigarette sales were in excess of $1 billion, with a worldwide market close to $3.5 billion. This is only a fraction of the tax income created by the tobacco cigarette industry, which hardly even registers compared to the worldwide tobacco cigarette sales. Even if you don’t agree with the regulatory standpoint of the FDA and other regulators around the world, one thing that can’t be disputed is that money talks. Also considering the the forecasted growth over the next 20 years, which could see the electronic cigarette industry overtake the tobacco cigarette, the concerns within government treasury departments around the world can only be imagined.